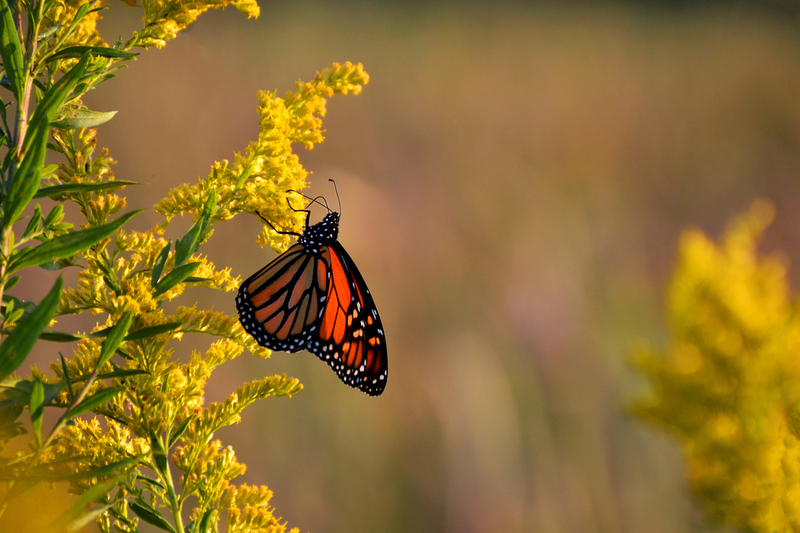 This photo of a monarch butterfly on golden rod was taken in Huntingdon, Pennsylvania right before the sun set. Old Crow Wetlands are a quiet place on the outskirts of town. Butterflies love this place because of the abundance of flowers. I am a college student from Massachusetts, I am majoring in Environmental Studies. My passions are photography and cinematography and I love to capture all types of nature photos.